Get off the beaten path of Koh Phuket on this two-day, one-night, guided tour and discover beaches, caves, coves, cliffs and nearby islands. See the natural wonders and white sand beaches of the Krabi Islands and explore by kayak stopping to snorkel and swim. 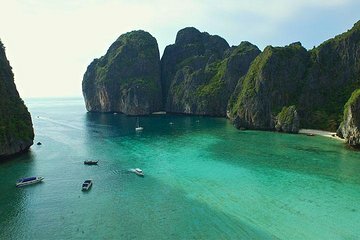 Stay overnight in a hotel and set off the next day to spend the day exploring Koh Pho Phi.